Winning an NBA Championship takes everything you’ve got. During the Finals, if a player doesn’t give it all on the floor, he will live the rest of his life thinking about how he could have done better. The great players always leave their mark during this time. Then you have those who make you question how they even made a roster spot on a championship team. Since 2000, only eight of the 30 NBA teams have won a title. Here are the worst players from those teams to have won a championship ring. The legend of Brian Scalabrine, or the “White Mamba,” can never be tarnished. It’s tough to diminish his name, but his game spoke for itself. 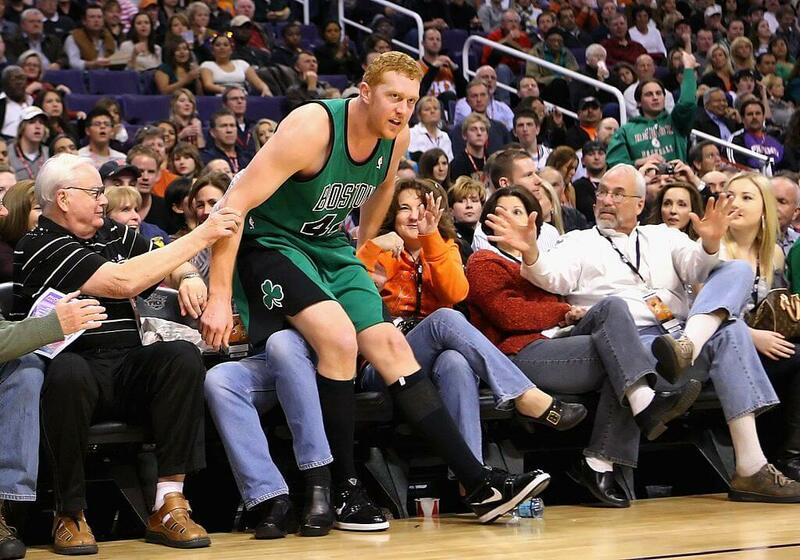 Scalabrine might have been a fan favorite, but we can safely say talent wasn’t why. Outside of the rabid fan love, averaging 1.8 points per game (PPG) and 1.6 rebounds per game (RPG) isn’t going to get you anywhere in the NBA. The White Mamba is just a glorified bench warmer who happened to be on a Boston Celtics team that won a title, thanks to three Hall of Famers. 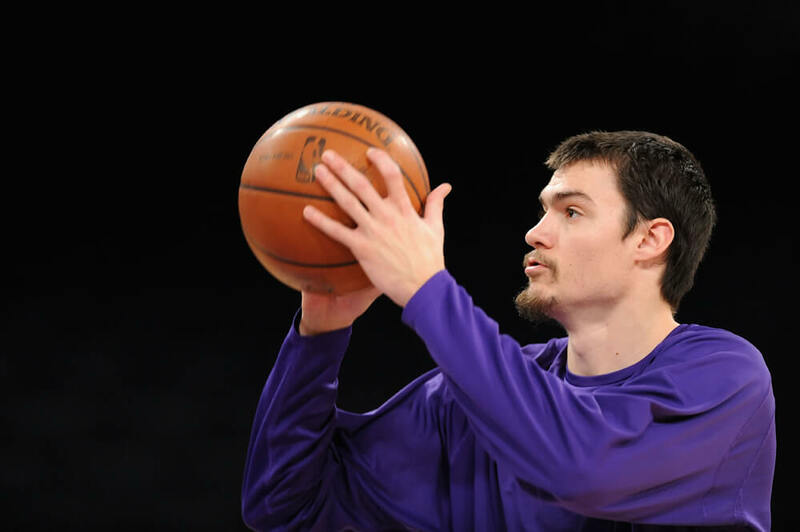 Adam Morrison was an All-American talent during his college days at Gonzaga University. That all changed once he entered the NBA. He went from the best to one of the worst but still ended up becoming a champion. Of course, Kobe Bryant and Pau Gasol are the people Morrison should thank. Morrison had playoff career totals of eight points, five rebounds, and one assist. We believe Bryant wouldn’t even accept a thank you from a player with those kinds of statistics. This player, probably the biggest bust in NBA history somehow added a championship to his resume. 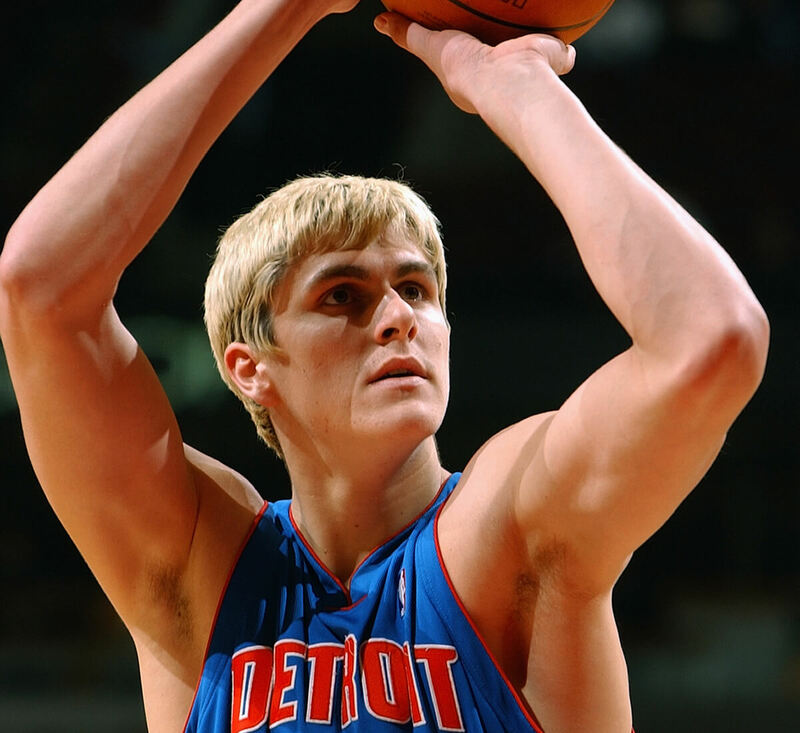 Darko Milicic was the second pick of the 2003 draft right behind LeBron James, but ahead of Dwayne Wade and Carmelo Anthony. The Pistons thought they drafted a steal, but instead, Milicic stole from them. The Pistons made it to the Finals during Milicic’s rookie year, but he didn’t contribute much at all. During the playoff run, he missed all four of his shot attempts and only made one of his four free throws. He was just 18 at the time, so many thought he was still finding his game. But years went by, showing age hadn’t been the case at all. Some may consider D.J. 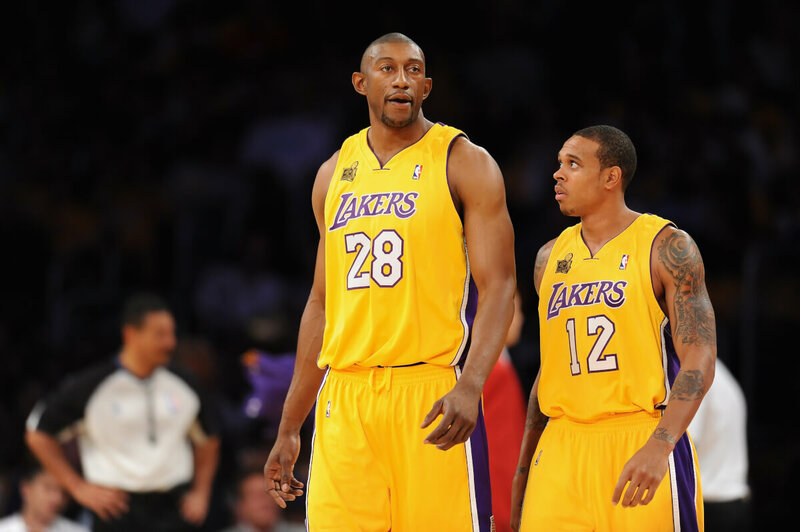 Mbenga (28) as the enforcer on that Lakers team that won back-to-back titles. He was a huge brute, but his size didn’t translate to talent. He was coming off the bench behind Adam Morrison, and you already read what Morrison’s statistics were looking like. Mbenga has the great players around him to thank for allowing him to have championship two rings on his fingers. He had 28 total minutes throughout two seasons in the playoffs. Yeah, he was for sure the enforcer. If you missed the 2006 NBA Finals, then you didn’t witness Dwayne Wade’s legendary performance. While Wade single-handedly dug the Miami Heat out of a hole to win the Finals, Michael Doleac remained lost in the ditch. Throughout 587 career games, Doleac only averaged 2.3 RPG at the position where you’re supposed to grab rebounds. That’s not great at all. He just happened to be on the right team in the right year. Don’t hate the player, hate the game. The San Antonio Spurs are notorious for drafting and signing players who seamlessly fit into their style of play. From their starting lineup to the last man on the bench, each player knows their role and what they’re going to contribute. 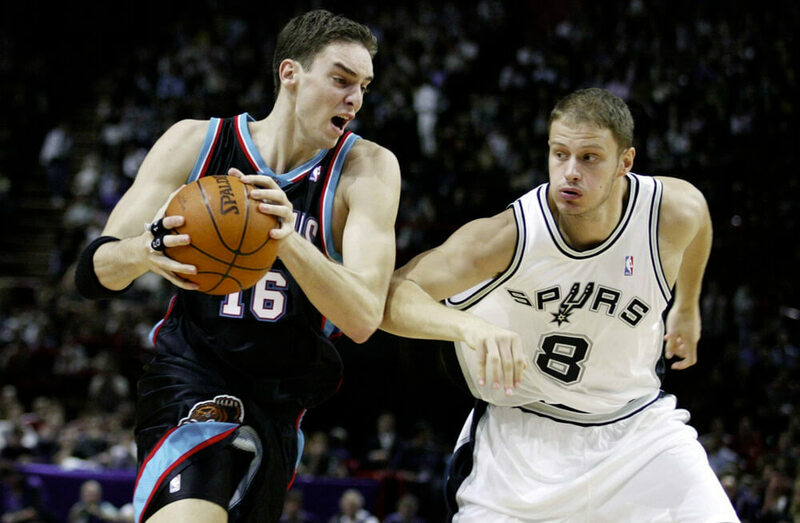 Still, we’d like to think Rasho Nesterovic (8) would have loved to do more during the Spurs’ 2005 championship run. 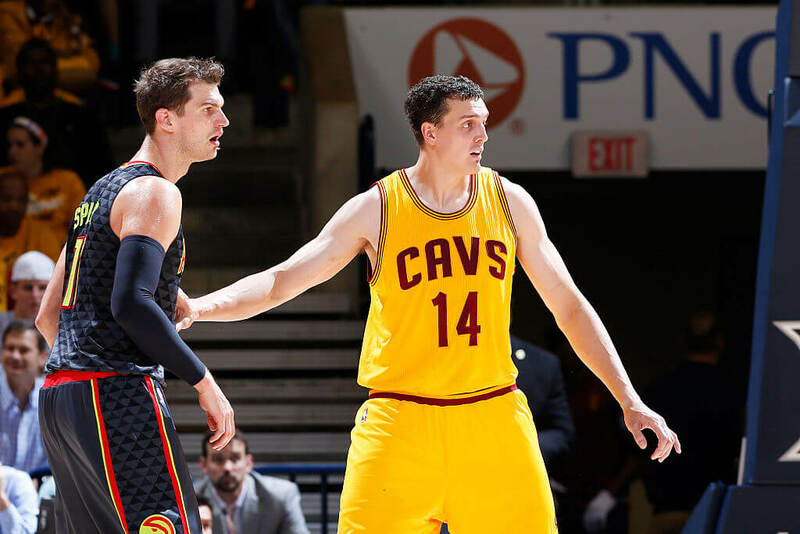 Having only averaged 0.7 points to go along with 1.7 RPG, Nestorovic wasn’t much help. If the Spurs’ coaching staff didn’t expect more from him, hopefully, he wanted more for himself. This next player probably made more people laugh than he did contributing to winning. 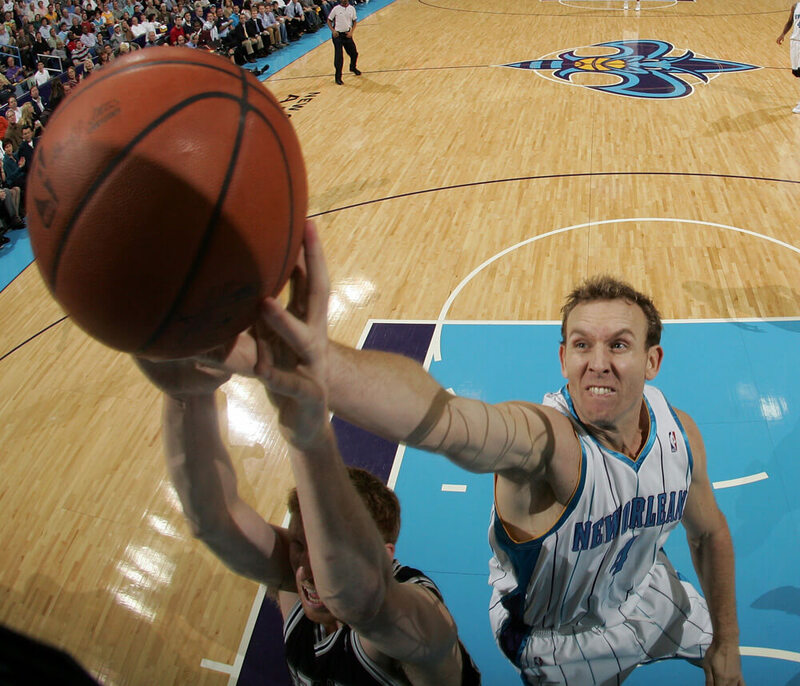 Mark “Mad Dog” Madsen is similar to the White Mamba, Brian Scalabrine. His legend precedes him, but not because of his skill. 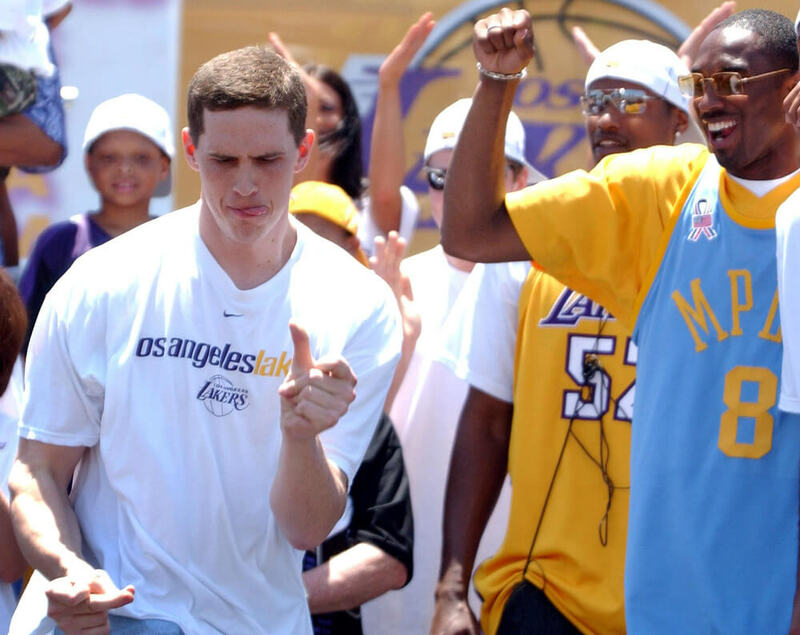 Madsen was an integral part of that champion Lakers team, IF we’re talking about team morale. Who else had moves like the Mad Dog? During those title-winning years, Madsen played only 58 minutes and scored five points in the playoffs. Perhaps, the best player on your high school basketball team could have contributed more than that. However, he couldn’t have brought such an enormous smile on Bryant’s face as you see in the image above. Here, we have another Miami Heat player riding the coattails of greatness, six years later. 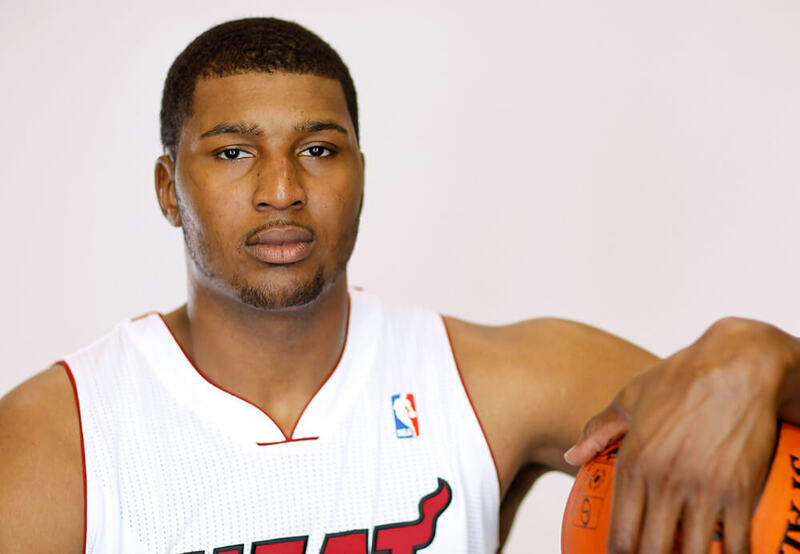 Dexter Pittman has not only Dwayne Wade to thank, but also LeBron James and Chris Bosh. Pittman overcame an eating disorder and lost 100 pounds during his time at Texas University, so kudos for getting through that. His output on the Heat, however, is nothing to congratulate. Pittman only averaged three points and two rebounds over 35 games (six of those he started) with the Heat. To say a championship fell into his lap would be a mighty understatement. The 2004 Detroit Pistons were heavily riding the wave and trying to find hidden talent from overseas. You learned what happened with Darko Milicic. Zelko Rebraca is in that same boat. 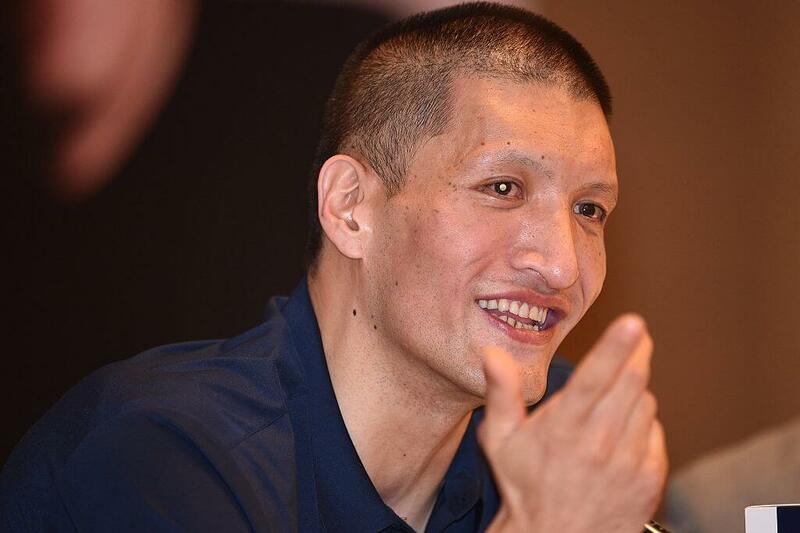 Rebraca was traded three times between 1994 and 2001 before he even played one NBA game. During the Pistons’ 2004 title run, Rebraca averaged 6.9 points and 3.9 rebounds per game. Those numbers seem like the highest that have been on this list so far, but they also are his career-high statistics. It’s great he did his best that year, but his best doesn’t amount to much. The Spurs’ coaches like to rest their star players regularly throughout the season. This allows them to have fresher legs for the playoffs, and it gives the bench players their 15 minutes of fame. 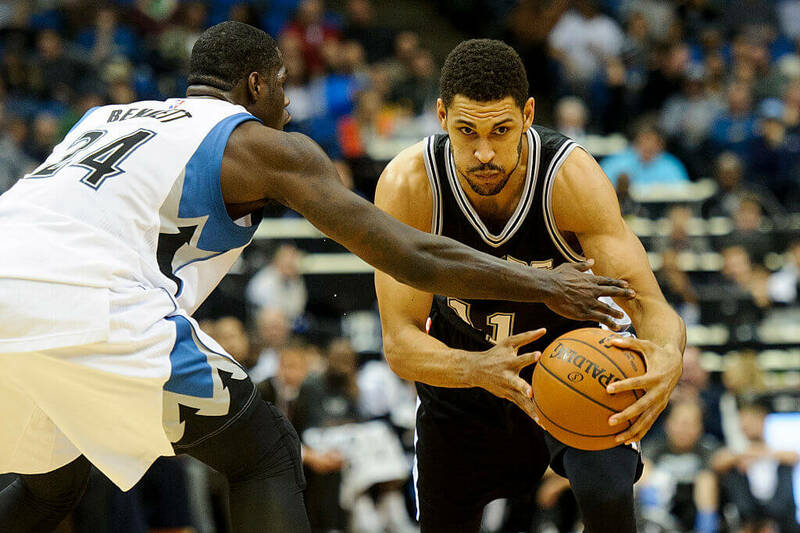 Jeff Ayres averaged 13 minutes per game in 2014 as the last player on the bench. It’s not like he didn’t put in more work than usual, but it was because he had to. Those minutes he played helped the Spurs take down LeBron James and the Heat that year in the Finals. Unfortunately, that was the extent of his help that year. 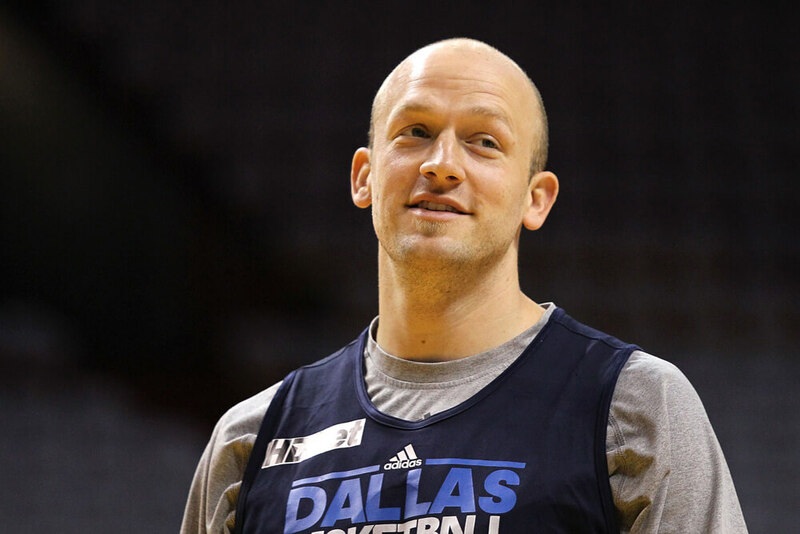 Brian Cardinal has quite a few career milestones he wouldn’t like for people to mention… like that fact he was nicknamed the “Custodian” in college the way he wiped the floor after diving for loose balls. He was also traded away so a team could get Darko Milicic. Yet, he can sweep most of that under the rug thanks to the fact that he was a part of a team that defeated the Miami Heat’s big three. He cannot, however, wipe out the fact that he only averaged 1.1 points and 0.3 rebounds per game during that playoff run. Coach Greg Popovich scouted Mengke Bateer at the 2002 FIBA World Championships and was impressed. A year later, Bateer was on the Spurs for their championship run. Did he have a huge impact? No, he did not, but he did end up with a ring. Bateer only played 12 games with the Spurs and made 23.5 percent of his shots (which extremely low for the center position) while averaging 0.8 PPG. Those statistics don’t impress anyone but Bateer’s family. Granted, when he returned to China, he was named the Chinese Basketball Association MVP. The 2015 season was the year the Golden State Warriors began their reign over the NBA. Between 2015 and 2018, the Warriors have made minor tweaks to their roster, so some bench players don’t get to see another year in the bay area. 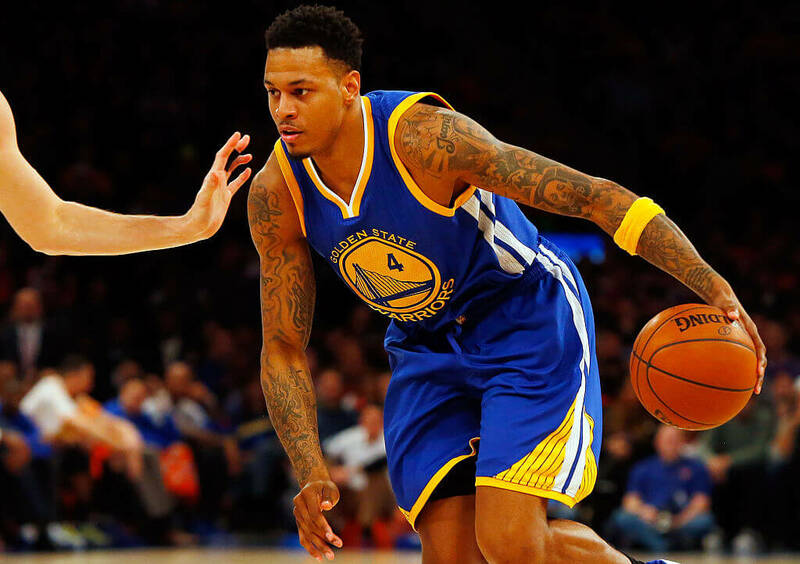 Brandon Rush lucked out and found himself on the team in 2015. Rush was practically useless if you look at his stats. He averaged one point and one rebound throughout the playoffs that year. Did the Warriors happen to win a game by one point? If so, you can thank Rush. Otherwise, Steph Curry is who deserves all the praise. Out of everyone on this list, Melvin Ely at least understood his purpose as a bench warmer. 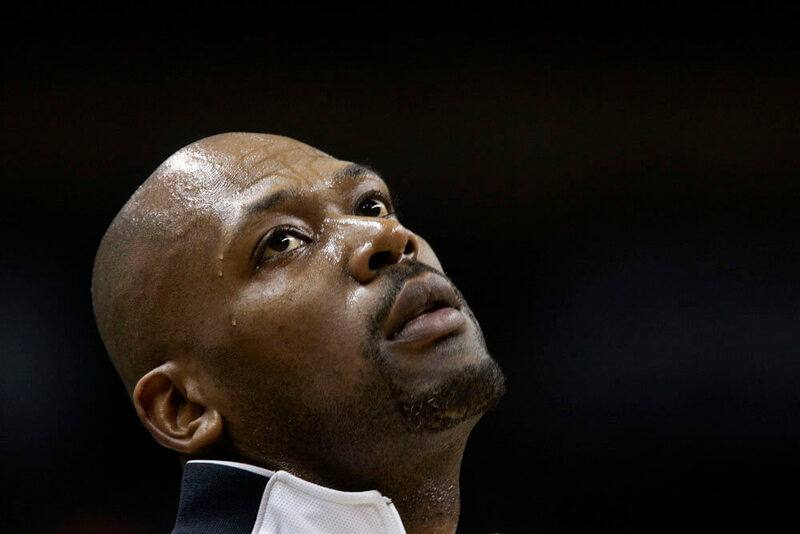 His understanding helped lead him to a championship with the Spurs in 2002. Not many are as honest as Ely because their pride gets in the way. The duo of Kobe and Shaq carried a lot of players to earn their first ring, if not more. Mark Madsen was only one example, but there was also Stanislav Medvedenko. As a matter of fact, if you let Kobe tell it, he was horrendously bad. 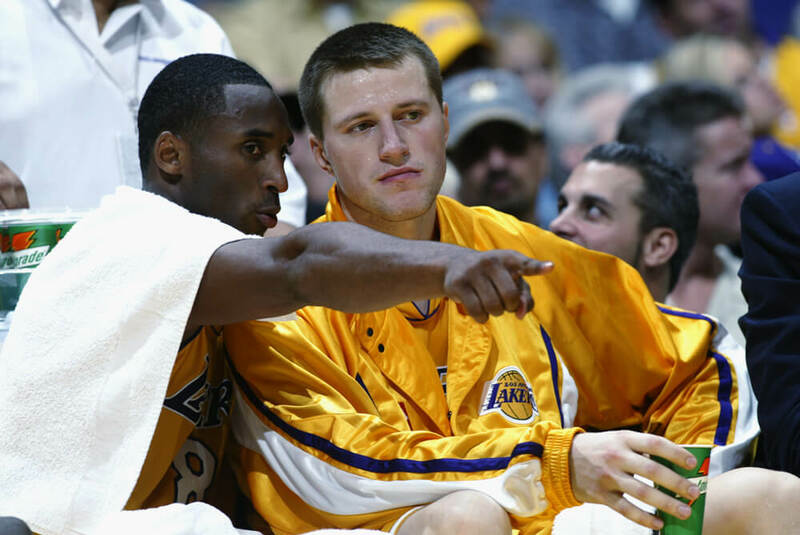 “There are certain players I have made cry … there’s one teammate that was just so bad, Kobe said. It wasn’t Smush [Parker]. I can’t even pronounce his name. It was like some European kid. I said, ‘You know, dude, you might want to reconsider what your life purpose is. Maybe it’s not this. '” There you have it, folks. A teammate who’s even harder to play with as far as expectations go is LeBron James. Sasha Kaun would know this. Kaun was the first Russian player to win an NBA Championship. But do you think even the most devout Cavs fan knew he was also on the roster? Kaun only played in nine games during that season, none of which were in the playoffs. He didn’t score more than four points in any of those games either. Kaun might as well just been a ghost in a jersey. He announced his retirement right after winning the title. Eddie Curry didn’t end his career the same way he started it. He was once a respectable player that other teams’ coaches had to be at least a little concerned about. 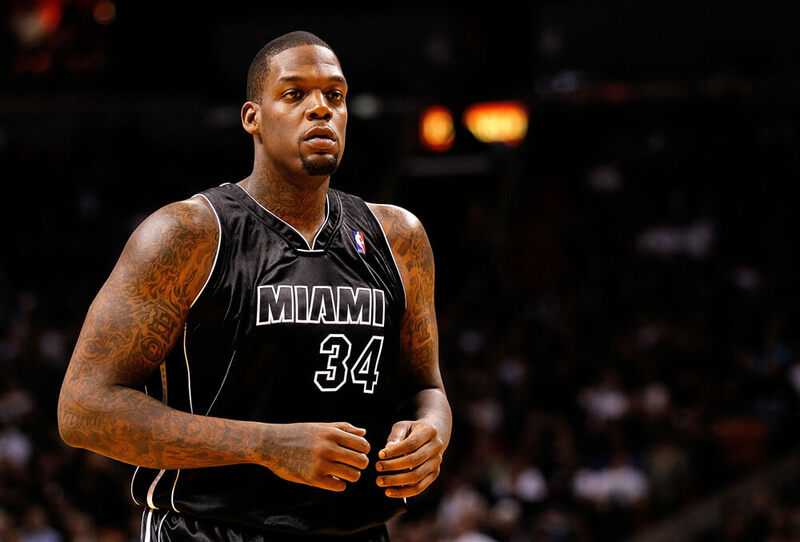 By the time he made his way to the Miami Heat, that was all out the window. Curry played 83 total minutes during that season but did not register a single minute during the playoffs. All the heavy lifting was left to LeBron James and cast. Curry won a ring and players who put in tons of work might have been on the bitter side. Just who is Sean Marks? He spent the first several seasons of his career playing for different teams. Marks even played in Poland at one point. In 2003, he signed with the Spurs and didn’t play a single minute. 2005 came around, and he got to show his stuff. Marks averaged three points and two rebounds per game. That’s more than a couple of people on this list. Thanks to Tim Duncan and company, Marks has a pretty ring on his finger. Another individual to win a title in their rookie year without having done much is Gabe Pruitt. The Boston Celtics drafted him when they accumulated a dangerous big three, and the only thing in their way was the Lakers. Pruitt only played 15 games that year while averaging 2.1 ppg. He didn’t touch the hardwood when the playoffs started, however. The Celtics’ star guard Rajon Rondo hogged all those minutes so we can cut Pruitt a little slack. In all of the 13 seasons Tony Massenburg played in the NBA, he ended up playing for 12 different franchises. The longest spent on each team was only one year. That one year he spent with the Spurs for the 2004-05 season was like finding the pot of gold. He participated in 61 games during the regular season that year. His averages were 3.2 PPG and 2.7 RPG. When the playoffs strolled around, his statistics dropped significantly to 0.3 points and 1.2 rebounds.